Fast and convenient, we can get rid of your waste quickly, efficiently and cost effectively! 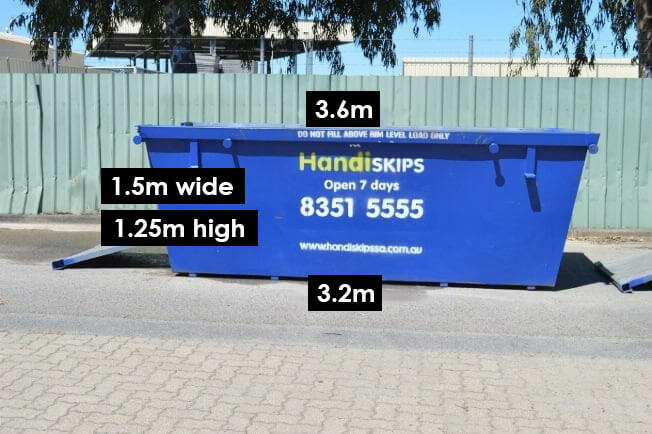 No matter what your project – renovation, decluttering, new kitchen, new tiles or gardening project HandiSkips SA are here to quickly and easily help you dispose of your waste. 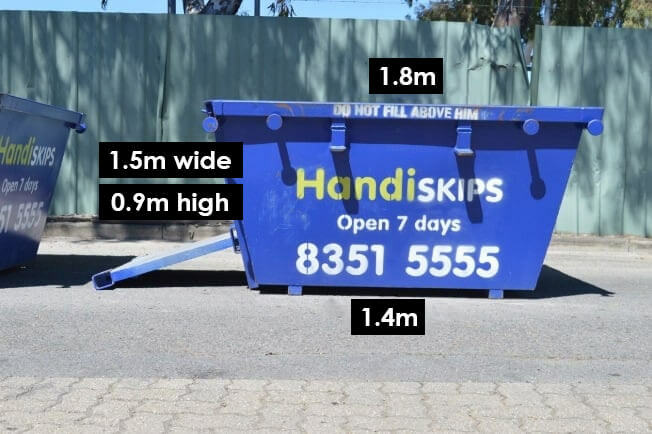 Our Skip hire prices are fixed; they are amongst the most competitive in Adelaide and prices include delivery and collection. 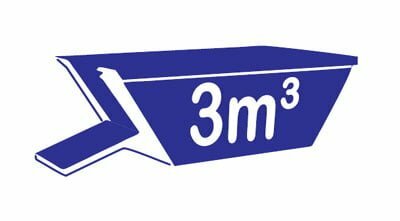 Friendly and efficient, we offer a selection of easy to load skips and can often dispatch your skip on the same day, so there’s no waiting around, its ease and convenience all the way! 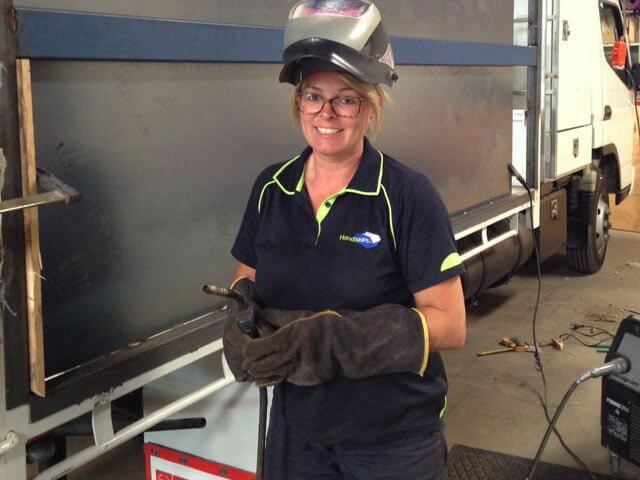 With decades of experience in the waste industry, we pride ourselves on offering exceptional customer service and great value for money, which is why the majority of our business comes through word of mouth from our many delighted customers. 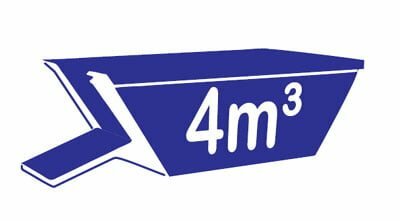 If you’re planning a project or have accumulated a quantity of waste, our skips offer a quick and easy disposal solution. 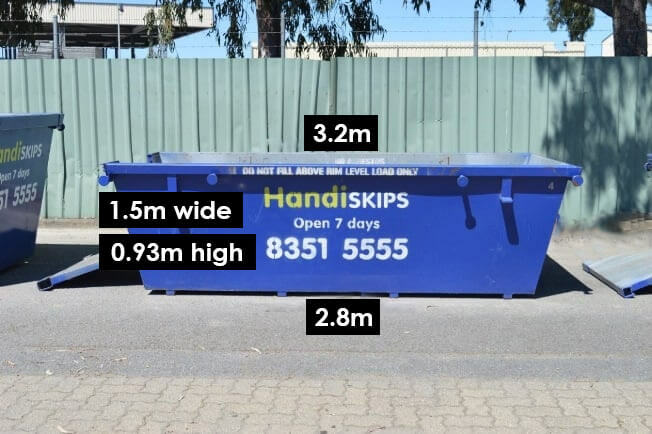 What’s more, we recycle up to 95% of the waste in our bins so when you use Handiskips SA you’re even doing your bit to protect the environment for future generations. Open seven days a week we are always around when you need us. 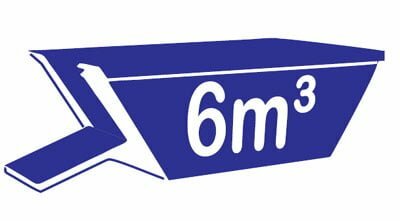 From small loads to large loads we’ve got you covered with a selection of bin sizes including 2,3,4 or 6m3 and it’s never been easier to get that project underway. 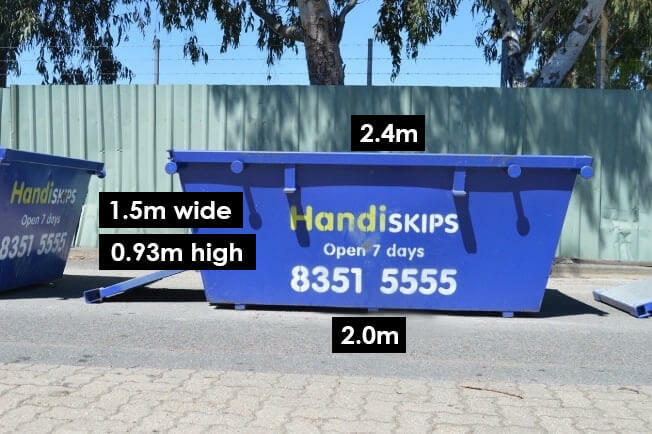 All of our skips have an easy load door at the front which drops down to provide a convenient ramp so you can walk into the skip to stack it, or take the wheelbarrow into the skip to empty it. 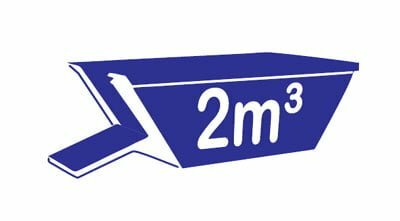 With no need to throw things over the sides, you’ll find loading the skip much quicker and easier and you’ll be amazed how much waste you can fit in the skip when you can stack it well.